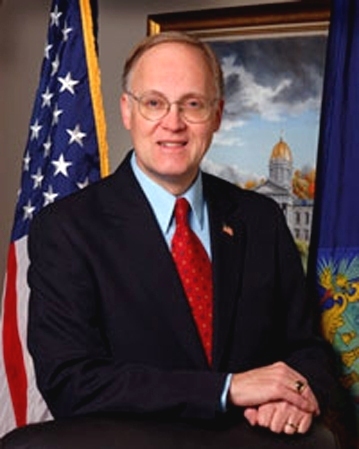 Elected Governor in 2002 and reelected in 2004, 2006, and 2008, Douglas focused on strengthening the state’s economy, making Vermont more affordable, and protecting the state’s natural environment. He was chair of the National Governors Association (2009-10) and the Council of State Governments as well as chairman of the New England Governor’s Conference and the Coalition of Northeastern Governors. “James Holley Douglas, Vermont Governor 2003-2011,” Digital Vermont: A Project of the Vermont Historical Society, accessed April 18, 2019, http://digitalvermont.org/items/show/1126.